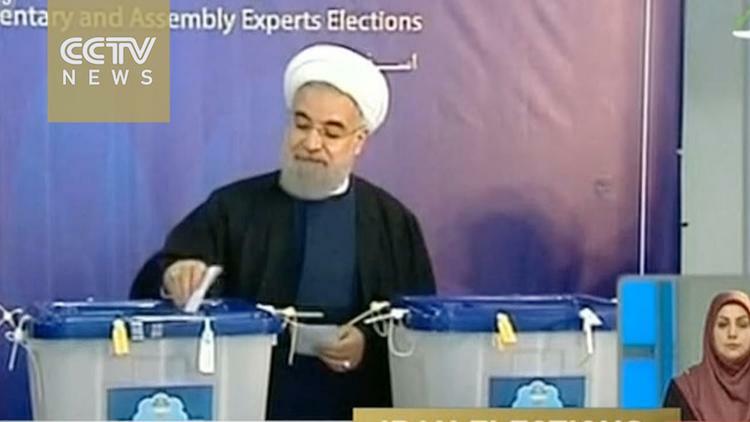 Early results in Iran’s parliamentary elections suggest that the centrists, pragmatists and independents will have more seats than the Khomeinist far right. For the first time since the 1979 revolution, no one bloc will dominate the national legislature. The far right had had 66% of the 290 seats in the previous parliament. The Iranian system is characterized by dual sovereignty. It has an elected set of institutions, including the national legislature and the presidency. The 88-member Assembly of Experts is also directly elected (and it was elected alongside parliament on Saturday). It in turn selects the next clerical Leader and supervises his activities. The more important institutions are the clerical ones, including the office of the clerical Leader and the judiciary, who are not elected by the people. The leader in turn appoints the officers of the military, the national guard (the Iranian Revolutionary Guards Corps), and the intelligence services. I am not using the vocabulary of reformists and hard liners because we don’t talk about US politics that way. We usually put politics on a spectrum, from left to right. I think we know that the right in the US often values property over human beings, while the left does the opposite. There aren’t really any leftists in the Iranian parliament, and nor are there liberals. People who might have approximated those positions were disallowed from running by the Guardianship Council. President Hassan Rouhani is a former arch-conservative who moved to the center, becoming a pragmatic centrist. And that is the spectrum in the parliament, from pragmatic centrist on the left to the Khomeinist far right believers in theocracy. In the election for the Assembly of Experts, a body sort of like the Roman Catholic college of cardinals, Rouhani and his pragmatist ally Akbar Hashemi Rafsanjani were leading Saturday night. To have pragmatists play a central role on that institution is incredibly important, both for how Iran is governed in the meantime and for the selection of the next Leader (incumbent Ayatollah Ali Khamenei is in his 70s). This Assembly of Experts will sit for 8 years and could well choose the next clerical Leader of the country. As for parliament, pragmatic centrists will likely make up 30% of seats,and independents will be another 20 percent. The far right will have the other half of seats but won’t be able to legislate unilaterally. The significant improvement of the situation for pragmatists (many independents will vote with them) reflects President Obama’s successful diplomacy and the consequent popularity of President Rouhani, who got international sanctions lifted by accepting limitations on Iran’s nuclear enrichment activities. In contrast, when Mohammad Khatami was elected president in 1997-2005, the Clinton and Bush white houses more or less stiffed him.. Since he had nothing to show for his pragmatic outreach, in 2005 the voters chose as his successor the quirky and far rightwing Mahmoud Ahmadinejad.